Netac U328 is designed with hanging hole in avoid of losing it. 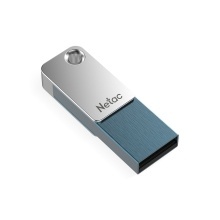 A tiny body with Netac unique storage technology. Take the essence of wisdom, Square body with round large lanyard hole. strong and wear-resistant, safe and stable. placed in a pocket and Office entertainment. in three steps File information security storage.